If you have experienced some issues with opening your car via key fobs and you own a second-generation Apple Pencil, then your car key fob might not be at fault. According to the company, the new Apple Pencil could be causing such problems. Apple recently updated the Apple Pencil support document with this unusual issue. 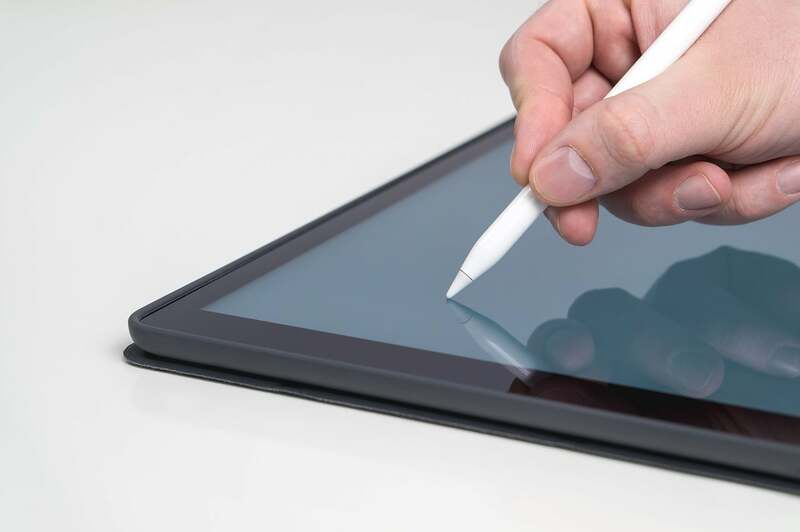 According to the updated document, when some users are charging their second-generation Apple Pencil with the iPad Pro, they face issues unlocking their car using a key fob. The company explains that signal interference between the Apple Pencil, iPad Pro and the car key fob results in such issues. A likely scenario in which such an issue may occur is when you are carrying an Apple Pencil and iPad Pro in your hand or backpack and are trying to unlock the car. “If you’re charging your Apple Pencil (2nd generation) with your iPad Pro and your car’s keyless entry device (key fob) is nearby, signal interference might prevent you from unlocking your car with your key fob,” Apple says in the support document. The updated webpage was first spotted by French website iGeneration. Apple adds that users will only face an issue with a car key fob if the Pencil is actively charging. If the Pencil is magnetically attached to the iPad Pro but is fully charged, then it won’t interfere with the car key fob. Apple does not have any permanent solution to this. Rather, it suggests users to move the iPad Pro away from the key fob while unlocking the car or store the Apple Pencil 2 somewhere else separately. There is no information on how many people experienced the issue or if Apple is working on any permanent fix or not. Nevertheless, this is surely among the oddest issues we have heard of. If you are also facing the same issue with your car key fob and Apple Pencil 2, then let us know in the comments section below. Connection between the new Apple Pencil and a car key fob? Apple launched the new Pencil toward the end of last year. It is compatible with the updated iPad Pro, which was released at the same time. Apple’s first-generation Pencil used an awkward charging method. Users had to stick the device into the iPad’s Lightning port. However, the Apple Pencil 2 magnetically attaches to an inductive charging anchor point on the side of the iPad Pro. The Apple Pencil and Apple Watch deploy inductive charging system based on electromagnetic fields. In some cases, inductive technology can interfere with low-power radio signals. A car’s key fob is designed as a transponder or passive remote system that unlocks the car when it is near the car. Since these fobs utilize short-range radio solutions, their signals are more prone to electromagnetic interference. The new Apple Pencil also comes with a “double tap” gesture, which allows users to switch between tools easily. For instance, if you are using a writing tool, you can switch to the eraser just by double tapping near the tip of the Pencil. Although this feature is extremely useful, it can sometimes be frustrating due to accidental triggers. At times such accidental triggers may damage the content you are working on. To prevent such accidental triggers, you can easily turn off the feature. To do so, enter the Settings app, then scroll down and tap on Apple Pencil. Now disable the “double tap” gesture. There will be no more accidental triggers now, no matter how many times you tap the Apple Pencil. However, it is advisable that you keep the gesture feature turned on all the time as it will help to boost your productivity. Over time, as you get used to the Apple Pencil, accidental triggers should also be reduced or disappear completely. You can also refer to the new videos from Apple showing the iPad Pro features designed to boost your productivity. These new videos are part of the “What You Can Do With iPad” campaign and promote the new 11- and 12.9-inch tablets. These videos focus on iPad Pro apps, features and capabilities ranging from using the Apple Pencil for hand-writing a note to creating music. “iPad Pro gives you a new way to travel. Plan your trip with Notes, fly over your destinations in 3D, entertain yourself on the flight, and send your loved ones a handwritten note with Apple Pencil,” one of the video says.